Lately I’ve been thinking about layers. Mostly mundane ones: clothes, coats and covers, the management of which occupies a ridiculous amount of my time, what with a child and March’s capricious climate. Not that this ridiculous amount of time ever seems to pay off. I am, it seems, destined to always get it wrong and we end up either hot and bothered, cold and cantankerous or simply soaking wet. My almost impressive ability to misjudge meteorological matters was less important when it was just me. But now I have a small boy clamped to my chest or clutching my hand, a small inappropriately dressed 18 month-old boy whose every sniff and sneeze precipitates a chorus of street tutting and disapproval – ‘Non si fa cosi signora! Povero bambino‘ – I wish I could judge the layers better! At least once in a while. A single arch of an ancient edifice rising forlornly between two 19th century apartment blocks, a 2000 year old column holding up a tenement kitchen, a routine hole for a routine check by the Roman water board that has been appropriated by archeologists, a mechanics workshop built into an ancient pile of broken pots, an ancient arch – onto which an unsupervised dog is relieving himself – marooned in the middle of the pavement beside a busy road. Antiquity bursting forth and then just sitting there nonchalantly while perfectly modern lives roar or meander by. Layer upon layer. At home there have been layers of lasagne. It has taken me a year to lift the pasta maker out of its box and clamp it to the work surface. I’m as proficient at procrastination as I am meteorological misjudgment. If the truth be known the chrome plated steel Imperia would still be languishing in cardboard at the bottom of the cupboard were it not for Paola: my friend and lasagne teacher. I met Paola a few years ago when she hosted a party for our mutual friend Sergio in her garden. It had been noted that we’d get on and that Paola was an excellent cook, We did and she is, particularly when it comes to la lasagna. Before coming to Italy I was deeply suspicious of lasagna, traumatized by too many encounters with thick yellow sheets that managed – quite impressively – to be both over and undercooked, big bulging layers of very busy ragu, floods of floury white sauce and cheddar crusts. Thud, squelch, indigestion. It was awful. I was scarred for lasagna life. So scarred, that even the more refined, relatively well executed lasagna left me unmoved. I decided it was best that I just let lasagna lie. I almost spurned the slice Vincenzo brought over to me during the party. Then I realised it was unlike any lasagna I’d ever seen. Paola rolls her fresh handmade egg pasta as thin as thin can be, which renders it light, extremely delicate and allows it to be the absolute protagonist, appearing in eight or nine layers. The sauces and others layers. whether they be a rich ragu, sautéed vegetables, ricotta, mozzarella, parmesan, a limpid white sauce are all merely supporting artists. Very important supporting artists mind: proud, present and bestowing deep flavour, but never swamping or overwhelming the star: the almost transparent leaves of pasta. The slice looked a little like a closed accordion, it managed to be delicate and imponderous and yet richly flavored and substantial. I ate three slices. I then lay in a somnolent posture under a tree. Some years later I’m standing in Paola’s kitchen in her house near Velletri, a town about an hour south of Rome. It is a vast enviable space, with a pale marble-topped work surface, wood burning stove and wooden table long enough for twelve. It’s a comfortable and unpretentious space though, with nothing twee or themed about it, no suggestions of whimsical rustic. I note that I could spend a lot of time in this kitchen. We drink coffee and then roll up our sleeves, tie on our aprons and make lasagne. First we make our dough, kneading methodically and rhythmically until it’s smooth and soft as putty. Then we position ourselves bedside Paola’s chrome Imperia, launch a blizzard of flour over the worksuface and then begin passing the pieces of pasta between the metal rollers. 9 pieces, passed one by one through the six settings. That’s 54 rounds. 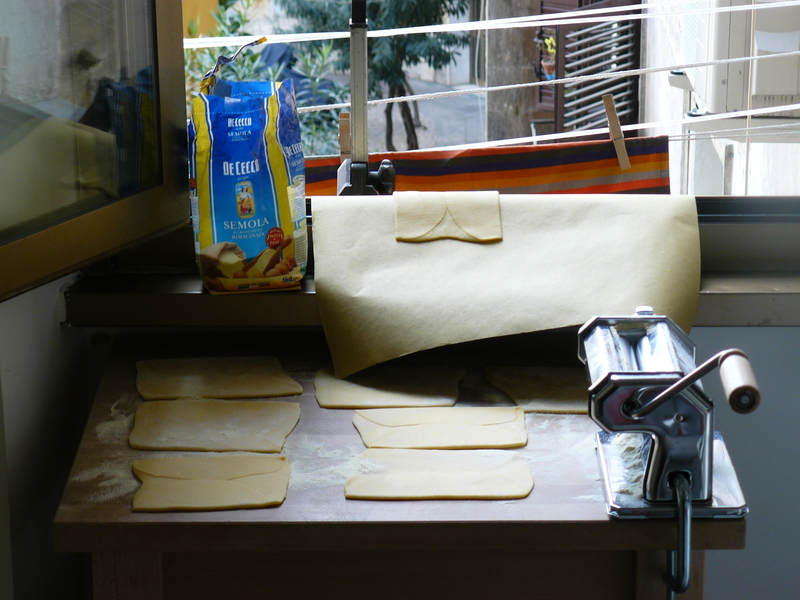 54 raptious rounds as rolling pasta is one of the nicest kitchen tasks I’ve undertaken in a very long time. It never ceases to amaze me how a good and patient teacher can make even the most complicated of tasks seem entirely manageable and you – the student – feel capable and just a little chuffed. Not that rolling pasta is particularly complicated. 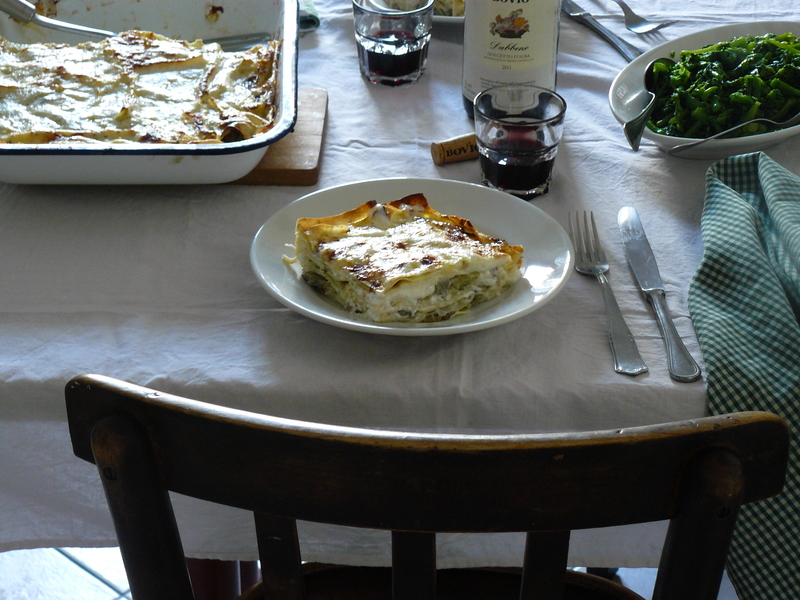 You do need guidance though and some sound counsel about cutting, folding, feeding, dusting with flour and how to manage the ever-increasing lengths of soft, egg lasagne. I’ve tried as best I can to include Paola’s guidance in the recipe below. I do hope it is helpful. I would encourage you to find a teacher too, a patient and capable one. And so the filling. Being, as it is, the season for the tender-hearted warrior of the vegetable world, Rome’s glorious globe, a lasagna with artichokes and ricotta seems appropriate, at least it did in our flat last Monday. Having made your pasta and set it aside to rest, you set about preparing your other layers. First the artichokes, which need trimming, slicing and then cooking in olive oil and wine – a slow sauté/braise really until they are extremely tender. Extremely tender: a soft, creamy mush really but with some discernible pieces. Next you make a panful of béchamel, which needs to be loose, fluid and pourable. And finally you whip the ricotta into a light, lactic cream with whole milk and season it prudently. It’s also important to eat at a little of your ricotta cream on toast while you watch your son putting oranges and your purse in the washing machine. Having rolled the pasta as thin as you dare, you need to par-boil it. A vast pan of well salted, fast boiling water is important, as is an equally large bowl of cold water and plenty of clean dry tea towels arranged strategically all over your kitchen – which will make it feel a little like a chinese laundry. Bold and brave moves are best. Drop five sheets of lasagne into the water. Once the water comes back to the boil, let the sheets lumber and roll for a minute before scooping them out as you would a slippy, wriggling toddler from a bath tub, plunging them into the cold water (to halt the cooking and prevent sticking, the curse of long, exquisitely thin lasagne) and then spreading them out on the tea towels. Now is all that’s left is to assemble, to put layer upon layer. A layer of Pasta, a layer of artichokes, béchamel and parmesan, another of pasta, the next of artichokes, ricotta and parmesan, another of pasta and so and so and so. Use scissors to snip the pasta into shape and do not be afraid of patches. Keep in mind the layers of artichoke, ricotta and bèchamel should be scarce and subtle sploges rather than a dense layer, supporting, bestowing flavour but never dominating. 15 minutes in the oven and then a 15 minute rest. Layer upon layer for lunch. And what a good lunch: delicate and imponderous and yet richly flavored and substantial. A lunch during which I felt proud as punch. Paola ti voglio bene. This is may well become my Sunday best. This recipe is – like most of my posts – long and possibly rather daunting (and/or trying.) The length is due to all the simple but numerous phases, please don’t let it deter you. Of course time, effort and organisation are required! But it is undeniably, irrefutably, assolutamente worth every minute, knead, rock and roll, chop, whisk and blooming-lovely layer. Begin the pasta. Make a mound of flour on the work surface and scoop a deep hollow in the center. Sprinkle over a pinch of salt. Break the eggs into the hollow and then using your fingers beak the yolks and start working the egg into the flour. Bring the dough together until you have a smoothly integrated mixture. Knead the dough, pushing it forward with the heel of your palm. Fold the dough in half, give it a half turn and press it hard against the heel of your palm again. Knead for a full eight minutes by which time the dough should be smooth and soft as putty. 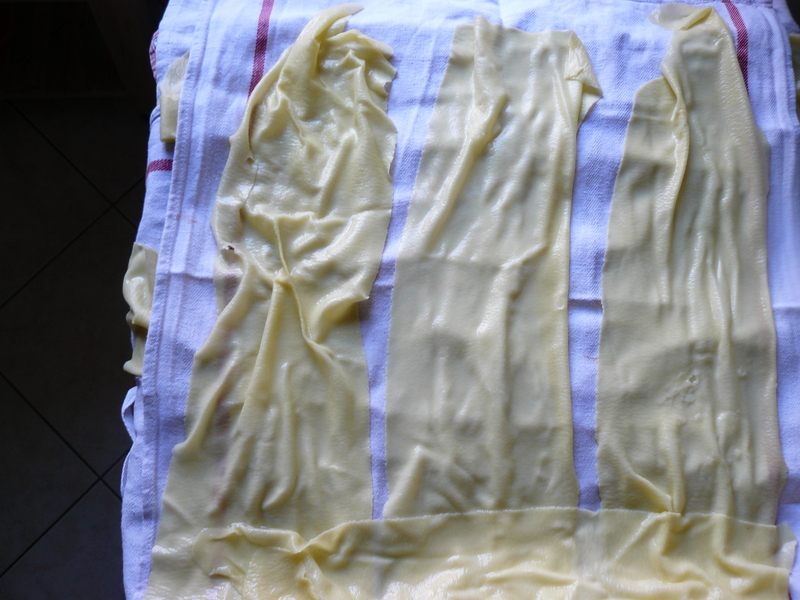 Cover the pasta with cling film and set it aside. Prepare the artichokes. Prepare the artichokes by first pulling away the darker tougher leaves, tugging them down towards the base of the artichoke and snapping them off just before the base. 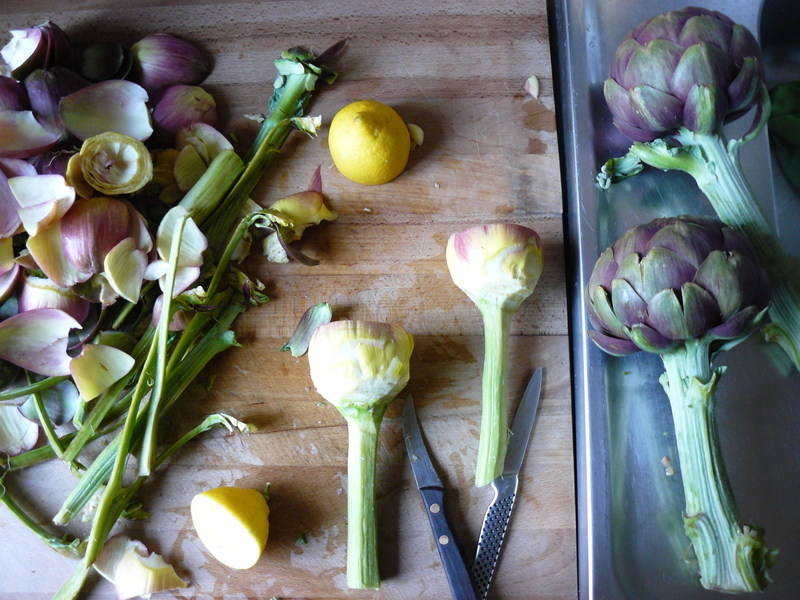 Then using a sharp knife, pare away the tough green flesh from the base of the artichokes and the stem. As you work, rub the cut edges of the artichoke with a cut lemon or sit them in a bowl of acidulated water. Slice away the stem and cut it into thick match sticks and then cut the bulb into 8 wedges. In a heavy based pan, warm the olive oil and then saute the artichoke pieces briefly. Add a pinch of salt and the wine, stir and reduce the flame so the artichokes bubble gently. Cover the pan and allow the artichokes to steam/braise for about 20 minutes or until they are extremely tender. The artichokes must not dry out, but stay extremely moist so add more water if necessary. Mash the artichokes gently with the back of the wooden spoon so they collapse into a creamy mush but with some discernible chunks. Make the béchamel. In small pan heat the milk and bay leaf until it almost reaches boiling point. Remove the milk from the heat and then leave to sit for 5 minutes. Heat the butter in a heavy based pan; as soon as it starts to foam, whisk in the flour. Keep whisking steadily for 2 minutes, then remove the pan from the heat. Add a little of the milk and whisk until you have a smooth paste. Return the pan to the heat and then add the rest of the milk, whisking continuously until the milk boils. Season with salt, black pepper and a grating of nutmeg. Lower the heat and simmer, stirring and whisking frequently for about 10 minutes or until the sauce is thick. Prepare the ricotta. Using a fork beat and whip the ricotta with the milk until you have a soft, light paste, season with salt and black pepper. Roll and cook pasta. Cut the ball of pasta into 9 pieces (the general rule is the number of pieces should be 3 times the number of eggs. So 3 eggs = 9 pieces). Sprinkle the work surface with flour. Set the pasta machine to the widest setting. Flatten one of the pieces of dough by pummeling it with your hands and then run it through the machine. Fold the pasta as you would an envelope by bringing the two ends over each other, so the piece is a third of its length, and run it through the machine again. Repeat with the other 8 pieces. 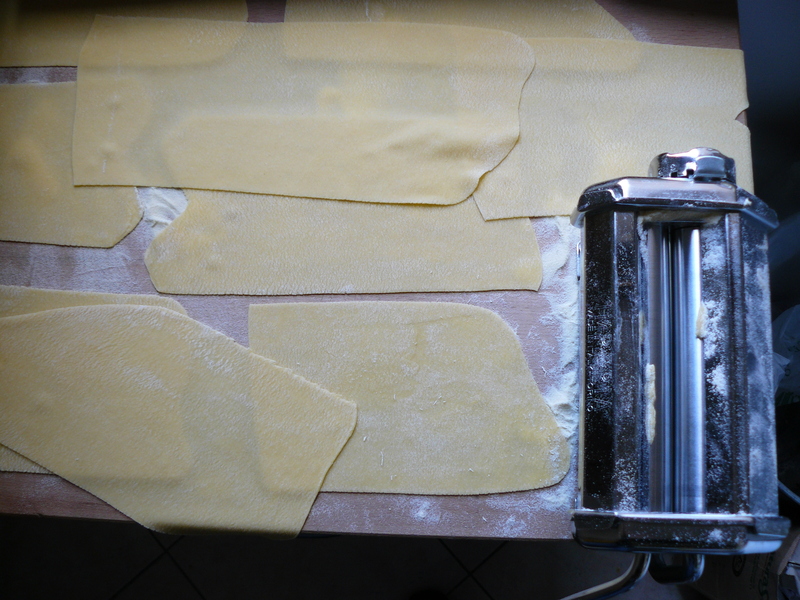 Close the gap in the rollers down by one notch and run the pasta pieces through one by one. Continue thinning the pieces progressively closing down the notches one by one until the pasta is as thin as you want it. Paola rolls her pasta through all six settings so it is impressively thin. You may need to cut the pieces in half. Bring a large pan of well salted water to a fast boil. Prepare a large bowl of cold water. On your largest work surface spread out clean tea towels. Lower 5 sheets at a time into the water. Once the water has come back to a fast boil allow the sheets to cook for 1 minute before scooping them out, plunging them into the cold water and then laying them out on the clean tea towels. Repeat until all the sheets are cooked. Set oven to 200 ° and grate the parmesan. Assemble la lasagna. Rub a little olive oil and a smear of béchamel over the base of the tin ( a 34 cm tin is ideal). 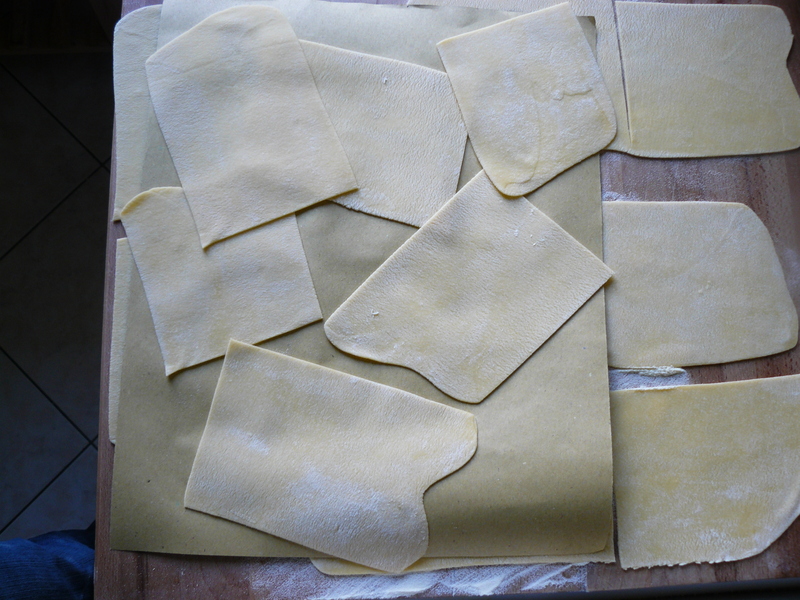 Arrange a layer of lasagne first, try not to have more than 6 mm of overlap, use scissors to cut the lasagne. Spread a thin layer of artichoke on the pasta, then a layer of béchamel and sprinkle over a little parmesan. Now another layer of pasta, another (thin) layer of artichoke and one of ricotta, more parmesan and a little olive oil. Repeat putting artichokes and parmesan in each layer but alternating bèchamel and ricotta. You should finish with the eighth layer of pasta. Spread over the last of the béchamel, sprinkle with parmesan and drizzle over a little olive oil. Bake the lasagna in the pre heated oven for 15 minutes by which time it should have a golden crust and bubble at the edges, Allow the lasagna to rest for at least 15 minutes before bringing to the table and serving directly from the dish. Wonderful post. But I AM daunted. I think this is a moment to work with a sympathetic friend as keen as I am to have a go and get it right. No chance of a knowledgeable teacher to hold my hand here. We’ll have to take a deep breath …. and jump. Yes! I’ll jump! I have a friend of Italian extraction who’s a good cook and would jump with me. But I think another trip to Italy’s long overdue. My real tour de force will be sourdough bread as taught by You and Dan. Will you be my next teacher pls? Oh how lovely, Rachel … and well might you be as pleased as Punch (only you’re a Judy). And I want a lesson with Paola too! And I want to be invited over to dinner to your place … so many ‘wants’. How beautiful! Nicely illustrated with instructive photos and the text is appropriately detailed . . . not too long at all. Thank you! That is good to hear and comforting in a world of short text, big typeface and speed reading. I think you have a real sensitivity when it comes to Italian food and ingredients which probably helps you make sense of the ramble. Hope you are well. I love that you are taking Luca on guided walks around Rome. I love that I learned a new word–shambolic! I love your words, and of course, I love the looks of that lasagna. Perfect. Oh my god, I am speechless, senza parole!! I think that is a god thing. LOVE your blog and I am so glad my friend shared this post with me today as I have been mulling over lasagna recipes to decide which to bake. AND, I wasn’t sure whether I needed to cook the fresh pasta first so you have guided me in the right direction, thank you! This looks heavenly! Hi Peggi, so glad to have been of practical help (not usually my strong point with all my vague rambling). So nice to have you reading along. lovely post rach 🙂 let’s cook lasagna together soon! Or lets leave P to make the pasta (i will shout instructions from my seat) while we drink prosecco. How did I not know about this book? I am ordering it at once. and hopefully also overcoming my fear of cooking artichokes. Oh, sublime! As much as I love simple recipes, it’s somehow soul-satisfying to spend hours in the kitchen on a labor of love such as this. Eating is only half the pleasure. Bulky boy – ha. I’m sure you and Jody would have this down beautifully in no time at all. It is pretty fab. Oh, this looks delicious! I haven’t made pasta for ages, and am missing it. Talking of capricious weather – earlier this week, I thought we had reached spring. Today, we have 6 inches of snow (and still falling…). Hey ho, snow boots back on, I guess! I take snow over humidity, rain and dreary days. I know I shouldn’t complain. But I do. Making pasta is a tonic – go on. How you managed this kitchen project with a toddler in the house is beyond me! And what a perfect lasagne for spring. I just let him play with inappropriate and slightly dangerous toys. I am a dreadful mother. This sounds fantastic. You mentioned Marcella Hazan: if you haven’t tried it, be sure to try her lasagna with bits of ham and tomato and mozzarella (no “sauce”). She suggests spinach pasta and I agree. HI Dennis, thanks for the advice, I am a Marcella Devotee so will try. Thank you for another lovely, poetic, delicious post! Carciofi are my favorite, regardless of preparation, so there’s no lasagne I’d rather eat. But I am terrified! This one may best be left for a cooking party with a friend (maybe one whose kitchen is less cluttered than mine). If I were alone I fear a tantrum would be unavoidable, but I’d have to behave myself in front of another person, and perhaps I would even perform better with some exaggerated false confidence. I have to confess a small tantrum, a very small one, when I burned the blooming béchamel. I think wine helps when a project is so involved, not too much and Italian obviously. Yes, wine must be the secret! A labour of love: both the story and the absolutely beautiful recipe of how the dish should be cooked. So full of romance, I’ll place the recipe carefully in my kitchen files and one day when the sun is shining and i need a romantic outlet, I’ll try this! It is some sort of small accomplishment how most lasagna pasta manages to be both overcooked and undercooked, isn’t it? Unfortunately I’ve been turned off from lasagna for many years… never had lasagna like this though. I wish I could will myself to make it!! 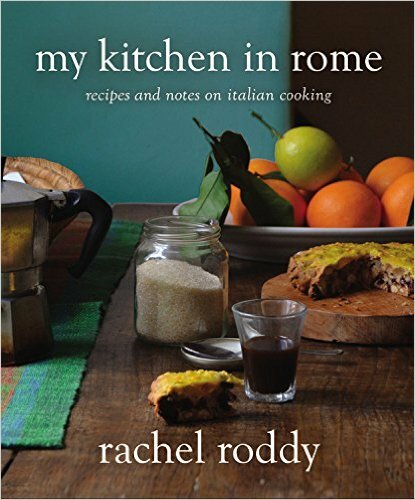 Loved reading about your reflections of layers (whether Roman, clothing or pasta-related). You had me at “layer upon layer”! Splendid first paragraph, followed by other great ones. Drooled over the rest of your post, both the photos and the recipe. love considering layers, especially as they reveal themselves. when we renovated our old house, we could imagine its previous lives, as we removed strange added walls, scraped wallpaper and cracked paint, and the like. brava on your thin thin sheets. Nothing like homemade and fresh lasagna with lots of layers! Yummy! I will have to check this out and enjoy! It’s all about the layers, the very very thins ones. And yes I agree there is nothing like fresh pasta made at home. assolutamnete. I carciofi a roma sono stupende ora. Your prose is as nurturing to my ear as your images to my eyes. Beautiful. That is so nice to hear – thanks. Hi! This is a wonderful way to do lasagna! 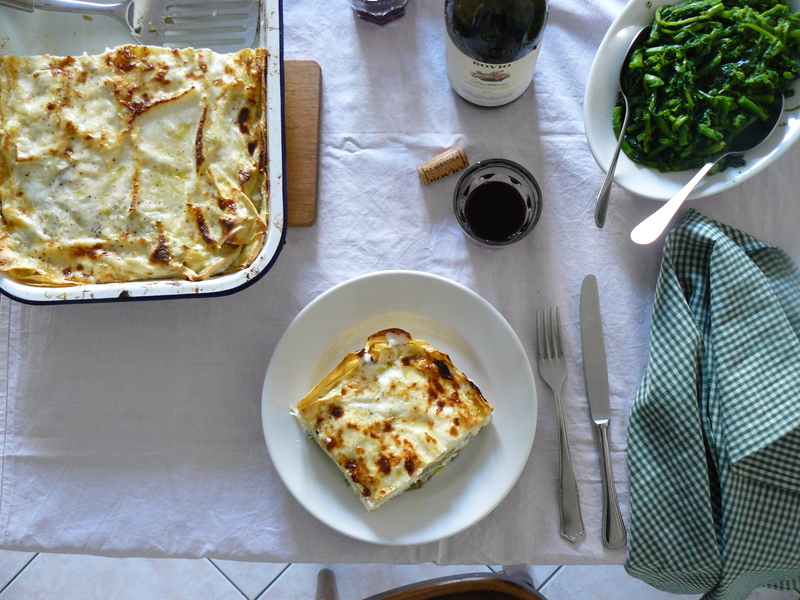 I love to make them also just with béchamel and some pesto, especially when I’m running out of time and cannot clean and cook all the veggies… have you ever tried lasagne al pesto? Hi Sara, No I’ve never tried lasagne al pesto, but I like the sound of it very much. Will do. Reblogged this on Ali YILDIZ. Lasagna seems to unite us all is a collective hum. Yum, il pasticcio! I always used to cook that with my mother – I think she was happy to have a daughter so she could embark in these complicated cooking enterprises. Not that this is a difficult recipe at all, but in needs lots of logistics and helping hands. My first responsibility was to turn the handle, and then I was promoted to making the bechamel sauce and finally I graduated when I was allowed to handle the thin uncooked AND cooked layers! I never cook it anymore these days: too much work for one single person, plus alone it’s no fun, but I am definitely going to talk my mother into cooking this next time I visit! wow, seems pretty difficult to make!! Bravo!! Actually not so difficult once I got going. It’s more about organization really (not my strong point). yeah not mine too :p nice work!! This looks amazing. This makes me want to step it up and take the time to make my own pasta. I think pasta making might well be a tonic for many of lives woes, deeply satisfying – I urge you to try. Looks amazing! Really enjoyed post and pictures. Wow. That lasagne looks amazing. Just wow. A friend of mine has a pasta roller. Maybe I’ll give her a call and give it a go. HI Christine, yes yes appropriate machine and enlist your friend – four hands are better than two. A glass of wine is always advisable when undertaking such kitchen projects. Looks delicious! My hubby and I moved to Naples two months ago but haven’t worked up to such complicated recipes. Thanks for the inspiration! I have never seen such a goodlooking lasagna before. Drool is dripping off my mouth as i type. Wonderful! Only if we could buy artichokes in India..
🙂 true. The mango season is yet to completely set in..the ones in the market now are over-priced and of inferior quality according to several newspapers. But yes, if one knows where to buy the mangoes and what type, it’s yummy. And ah yes, i always forget how papaya is an exotic fruit in non-tropical countries 🙂 Great post though! It looks absolutely delicious Rachel. As ever, with your posts, there is a treasure apart from the fantastic food – a must-visit restaurant in Rome, a poetic expression, a glorious typo (sorry, but I mentally collect these, and mailable cabbage leaves is up there with the classics!! ), and now the book of Roman walks – I have ordered it already!! Grazie mille! oh, I am glad you like that one, and are not tempted to correct it. I love it when mistakes like that make sense – it would, after all, be much easier to get a cooked cabbage leaf into an envelope than a fresh one!! I don’t believe I saw a typo in this post – but I am happy to point them out if you aren’t sensitive about them!! I hope you get to enjoy some dry weather soon! (we can only dream of wet weather here at present). Don’t be daunted they are surprisingly compliant things after a bit of practice. Sounds like a good plan, I hope you will be on hand to help though, four hands are better than two when it comes to sloppy, just cooked lasagne…. Come to Italy and have a lesson with Paola (I will observe while drinking wine and shouting advice). This dish looks fabulous! I love artichokes and cannot wait to add them to lasagna. I might prepare this as a side for my Thanksgiving feast! This is a lasagna fit for a feast. Ok, you’ve inspired me to dust off the pasta maker and give your lasagne recipe a go! Thank you, my cleaners going to love you.. Fantastic blog. A true inspiration. Excellent news. My machine was embarrassingly dusty but now it is out I a have become a pasta making fiend. Oh and thank you very much. My stomach is growling so loud after reading this, my almost def 17 y/o elderly dog can hear me. 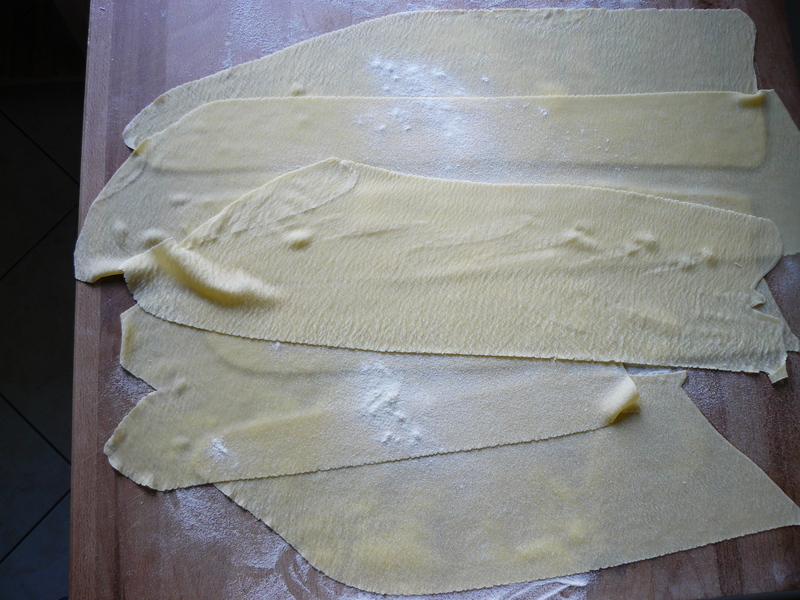 Fresh is the best, making homemade noodles is such a fun and rewarding process. Loved the post. Now off to find some lunch. Glad you enjoyed the post and yes I agree, pasta making is a rewarding also deeply satisfying. I find it a fun way to break the ice when I have teenagers in the house who maybe a little shy or not open to engaging. After a bit they are into the process, laughing and having a great time. So fun! Reading your rendition of bad lasagnas was so funny. I had the same experiences. Then I are lasagna in Rome and my lasagna world changed forever. Enjoy your newfound deliciousness!!! Wow that looks so good! I’ve never made lasagna from scratch before. Maybe I’ll add it to my list of recipes. I highly recommend it. You might like to enlist another pair of hands to help negotiate the just cooked sheets and open the wine.. I have a recipe, several actually, for timbalo, i really must try. thanks for the reminder. I love lasagna, I have never made it from scratch. I feel I may have been inspired to, thank you. Thanks………and you understand! I just wonder how this kitchen feat (we english are so good at) is possible: I bet if you had to do under and overcooked – it would be impossible. Now to the basement, for my pasta maker. I have not seen layers as thin as yours, but I will try! Yes yes, dust off the pasta machine. I would never have rolled my pasta that thin without Paola, but it really does make all the difference for lasagna when you want lots of delicate layers. Lovely . . . what a lucky little boy you have, and what wonderful friends. In recent years, I have not loved cooking as I once did. The experience of this post may just reawaken than gift. Thank you! I have always wanted to attempt to make my own pasta, even if it turns out bad it will be an experience. Thank you for your inspiration. Thanks for the link, I will check it out. And coming from a mother with a 18 month old and 4 year old I know life is chaotic. This post, added to helping my daughter make lasagne the last time we visited her, makes it imperative that I unearth the pasta machine she gave me aeons ago and which is still languishing in the back of a cupboard. Oops, sorry. A dud link. 😦 A stray hyphen crept in at the end of the address when I filled in the comment box form. It should work now. Reblogged this on FOREST HALL FOOD. Exactly what I was looking for on a sleepless night ;). Thanks for the post. Meaning it provided you with reading material or simply sent you back to sleep? Either way Joie di vivre glad to be exactly what you needed! in absolute love with this post. everything about it is everything i adore about what you do. the food the photos the writing. gosh rachel. You make it look so simple and effortless. I’ve been on the hunt for a great lasagna recipe for a while and I think this is the one. Great post! takes me back to my greatgranmother carefully preparing this in her later years! God, this just looks amazing, the amount of love between the layers is fantastic. Looks beautiful! Im going to try it! The recipe seems to be very time consuming but in a relaxing way. This recipe is for anyone who might want to spend time on quality food and explore what is new out there. My wife loves experimenting with pasta recipes. We now do a black bean lasagna with feta instead of traditional beef. Great post! My basic problem with “lasagna” was learning how to pronounce it. Thankfully, I had no such problem when it came to eating it. Nice article and thanks for the recipe. Looks fantastic! I will try to make it! !